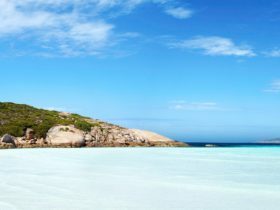 Duke of Orleans Bay is considered to be among the most picturesque and uncrowded coastal wilderness playgrounds in Australia. 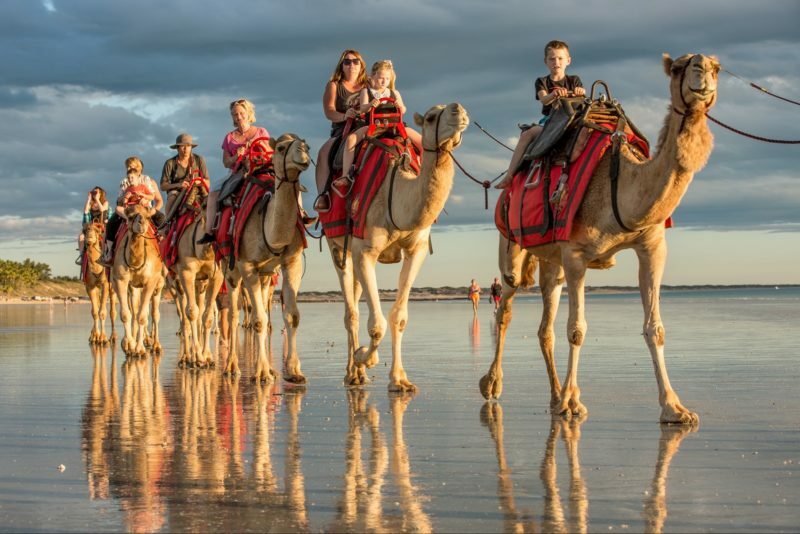 It’s affectionately known as ‘The Duke’ by its most regular visitors from Esperance and Kalgoorlie, who come to enjoy family holidays fishing, surfing, wakeboarding, water skiing, four-wheel driving and generally kicking back. Nestled on a peninsula, between Cape Le Grand and Cape Arid national parks, Duke of Orleans Bay is just over an hour’s drive east from Esperance and can be accessed via the sealed Orleans Bay Road. However, many of the secluded bays on the peninsula are accessible by four wheel drive only. Pack your body boards, drinks, food, towels and fishing rods and spend a day in the bay or neighbouring beaches and coves. You can also launch your small boat from the ramp at the southern end of the bay and chase a fresh fish dinner. The caravan park is your only overnight option at The Duke, but you do have a choice of cabins, park homes, powered or unpowered sites. Plan your visit between October and December, and you’ll also see the peninsula and national parks at their most colourful, with a dazzling variety of wildflower blooms.